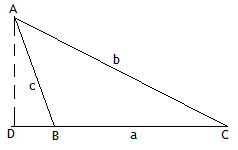 When two sides and angle included between (SAS)them is given then there is another formula to find area of triangle. 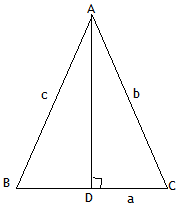 There are three equivalent formulas based on the sides and angle given. 2) Farmer Jones owns a triangular piece of land.The length of the fence AB is 120 m. The length of the fence BC is 230 m. The angle between fence AB and fence BC is 125º.How much land does Farmer Jones own? 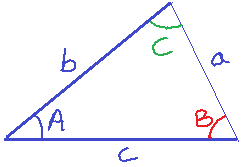 Solution : To know that how much land Jones owns for that we will draw the obtuse triangle ABC, mentioned all the given information and then use the formula to find area of triangle using trigonometry.